Just over two years ago, then-Vice President Joe Biden announced that he would not run to succeed President Barack Obama in 2016. This week he admitted he regrets that he doesn't occupy the Oval Office, given the potential he sees in the United States. "I regret that I am not president because I think there is so much opportunity," Biden told Oprah Winfrey in a clip from an OWN interview aired exclusively by "Good Morning America" on Thursday. "I think America is so incredibly well positioned." Biden, who served eight years as Obama's vice president after 36 years in the U.S. Senate, said he did not have second thoughts, however, about the reasons he passed on the race. "I don't regret the decision I made because it was the right decision for my family," he said. 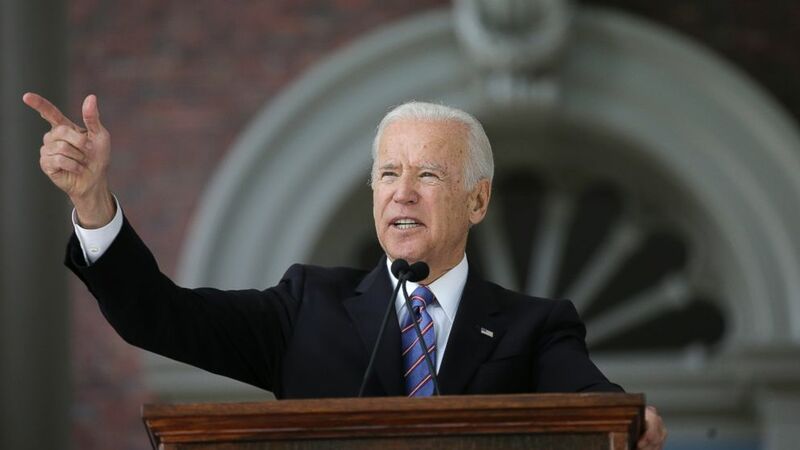 When Biden announced in October 2015 that he would not be a candidate in the following year's Democratic presidential primaries, he was less than five months removed from the death of his son Beau Biden, a former Delaware attorney general, due to brain cancer at the age of 46. Only six weeks after Joe Biden's first election to the Senate in 1972, his wife, Neila Biden, and daughter Naomi were killed in an automobile accident that seriously injured Beau and other son Hunter. "One, do they truly believe they are the most qualified person for that moment? I believed I was," Biden said. "But was I prepared to be able to give my whole heart, my whole soul and all my attention to the endeavor? Reflecting on the tragedies that have befallen him personally as he wrote his forthcoming book, "Promise Me, Dad: A Year of Hope, Hardship and Purpose," Biden said he recalled a conversation he had with his mother, Catherine "Jean" Finnegan Biden, just after the deaths of his wife and daughter, in which she encouraged him to persevere. "She said, 'Joey, grab my hand ... Out of everything horrible, something good will come if you look hard enough for it,'" he told Winfrey. "That was my mother's notion. We were taught just to get up. When you get knocked down, just get up and move forward." Many of those early lessons came during Biden's childhood in Scranton, Pennsylvania, a blue-collar city he mentioned frequently on the campaign trail in 2008 and 2012. Winfrey noted that in those days, he was known as "a boy with a vision" who knew from a young age the kind of person he wanted to grow up to be. Asked if he fulfilled his vision, Biden said yes but said it wasn't a matter of his professional achievements. "I wanted to live up to my parent's expectations, and I wanted to be that person that met my mother's standard, being defined by my courage," he said. "I wanted to be that person who, no matter what happened, just got back up and kept going. I wanted to be that person who was there and loyal to people who were loyal to him." Biden and Obama's loyalty to each other was frequently on display in the White House, with the two going so far as to joke about their bromance. The president entrusted Biden to be the voice of White House advocacy efforts for victims of sexual assault and to spearhead a task force aimed at developing cancer prevention and treatment methods. In an emotional moment in January, Obama surprised Biden, whom he called his "brother," with the Presidential Medal of Freedom, the nation's highest civilian honor. Since leaving the vice president's office, Biden has not shied from criticizing President Donald Trump, in particular his handling of the aftermath of a white nationalist rally in Virginia in August and his efforts at diplomacy. In the final month of last year's presidential campaign, Biden remarked that he wished he "could take Trump behind the gym," insinuating the he wanted to fight the real estate mogul over the recently revealed comments from 2005 in which he boasted of sexually assaulting women. Though Biden did not directly refer to Trump in the clips aired by "GMA," he described for Winfrey what he believes makes for successful leaders. "They understand their strengths, and they understand their weaknesses. They play to their strengths and try to shore up their weaknesses," he said. "And the people who don't do that are the people who aren't self-aware enough to know ... because most of the time that abuse ends up in their downfall as well." "Super Soul Sunday" with Joe Biden airs Sunday, Nov. 12, at 11 a.m. ET/PT on OWN: Oprah Winfrey Network.